The interior is one of the coldest regions in Alaska and to add to that fun fact, we also have a natural phenomenon known as temperature inversions--This is when warm air rises to mountain tops and cool air sinks to valleys in the winter time. Two Rivers is located at the base of Pleasant Valley. 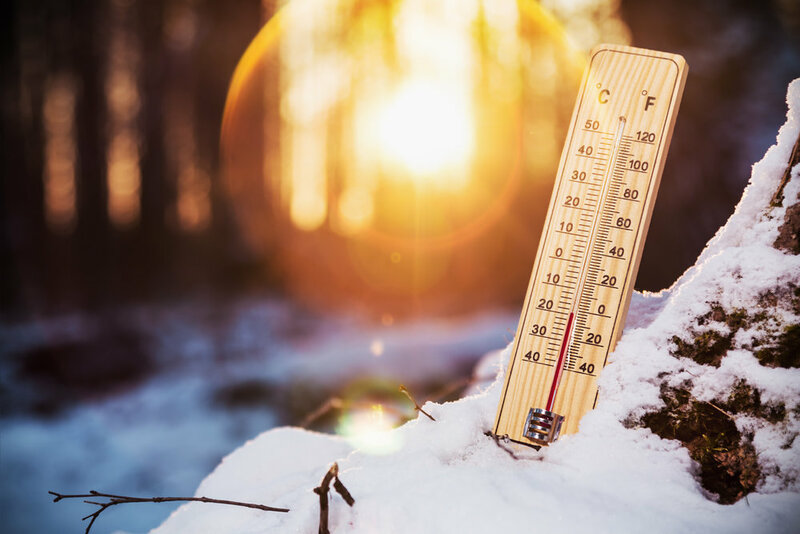 If you're making the trip to Alaska anytime between January - February, be prepared for temperatures between 20 to 30 below Farhenheit and colder. It's not uncommon to see 40 or even 50 below. December and March tend to be more on the "mild" side for Alaskans, but to the lower 48'ers, this is still cold! March is when you see the widest temperatures swings. During the days we can see temps as warm as 40 above, but it can still drop to 20 below at night. Travel on the safe side and pack your warmest clothes! See our What to Wear section for more tips on how to stay warm in Alaska! Is it Dark All Day Long in the Winter? We do see some sun in Fairbanks! It's not always dark in the winter months, we get a little bit of day light in the afternoon. But on the shortest day of the year December 21st, the Winter Solstice, we only get 3 hours & 43 minutes of official daylight! Because the sun doesn't rise that high above the horizon, the rays of sunlight are soft and paint a picture perfect sunset for hours across the sky. The alpenglow during this time of year is magical. Is the Aurora Always Visible in Alaska? Here in Alaska we like to say we have 3-Seasons: Winter, preparing for winter and Aurora Season. The Northern Lights aren't visible in the summer months because we are in the land of the midnight sun. But they are a common occurrence in our fall & winter skies! The lights depend on a variety of factors, but you can usually count on seeing them on a clear night from December - March. Overcast skies cover up the show, and the full moon washes out the lights due to the natural light pollution of the stars and moon. The best vantage points for Aurora viewing are high up in the hills or in areas with an unobstructed view, away from the light pollution of town. Below are some links to research on the Aurora and the predicted forecast to help you plan your vacation. Do Sled Dogs Like Their Job? Yes! In fact, they love their job! Sled dogs jump up and down with excitement as soon as it's time to pick a team. Alaskan Huskies have been breed for centuries to RUN & PULL! The simplest way to explain their willingness to "work" is by pointing out a very simple concept--You can't make a sled dog run! If they didn't want to go, they'd sit down. Simple as that. But the most convincing way to show you their enthusiam is by taking you out for a tour!